If you are a fish, your fins are obviously critical for making a living. Fins provide a long list of essential functions, from generation of movement to stabilization, turning, stopping, and dynamic lift (to name a few). Yet only select families of fish—namely trouts and salmons and catfishes—possess a small nub-like fin behind their dorsal fin and before their caudal (tail) fin. This fin is called the adipose fin*, and while many fisheries biologist and fishermen know what it is, explanations have been few and far between when it comes to the function of the adipose fin. *Because the adipose fin is not rayed and appears as a unsupported finlet, one early hypothesis was that the fin stored fat, or adipose tissue. Studies have generally confirmed that the fin does not hold adipose, yet the name stuck. Naturally, a proposed ‘non-functional’ fin was too much for some biologists to take, and experiments were designed. In 2004, two authors published a paper that took a first step in establishing the importance of the adipose fin. 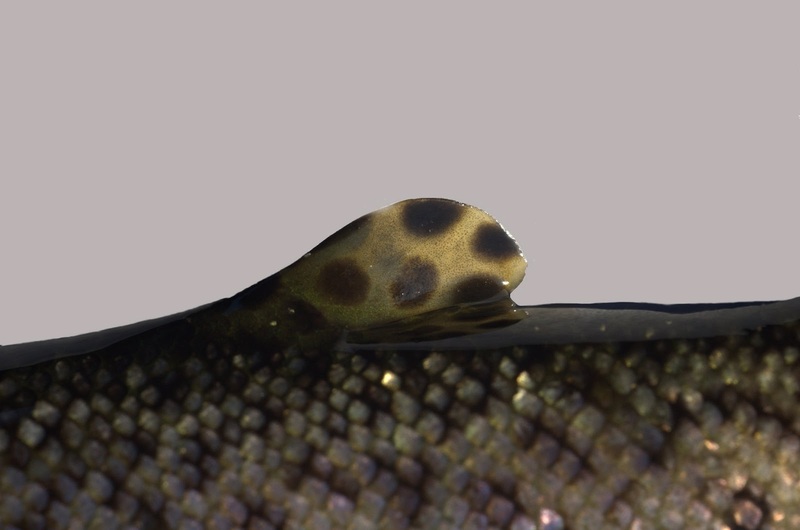 Reimchen and Temple removed the adipose fin from a set of juvenile steelhead and compared their swimming abilities to similar steelhead whose adipose fin remained attached. They found an 8% increase (on average) in caudal fin amplitude (i.e. work) in the fish without the adipose fin. Although they didn’t get into the mechanisms of how the fin possibly increases swimming efficiency, they did suggest that the adipose fin may create vortices that impact the caudal fin, or the fin may serve as a pre-caudal sensor to flow. 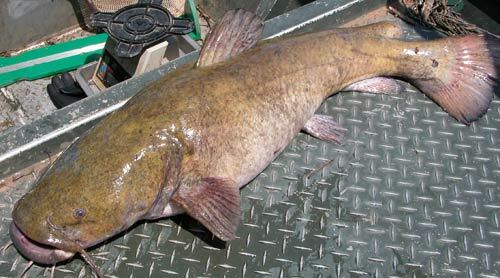 As a natural extension of their fin-clipping comparisons, Temple and Reimchen followed up in 2008 by investigating catfish, another fish group exhibiting an adipose fin. This time they consider 1906 catfish species, and compared the presence of the adipose fin to the habitat in which the species lived. They found that for species in moving waters (streams and rivers), an adipose fin was more often present than for species in low-flow environments, such as lakes. Although the specifics of how the fin might work were still unsubscribed, this work was critical toward supporting the notion of the adipose fin as a sensory organ. And most recently, Buckland-Nicks and coauthors in 2012 began to articulate the how. This work reported that indeed the adipose fin was innervated (connected to the nervous system). The authors called the adipose fin a “precaudal flow sensor” allowing improved maneuverability in turbulent waters. And while other studies failed to demonstrate swimming performance differences in clipped and unclipped fish, the authors note that at least three of these studies took place in non-turbulent waters. Of course, this also fits with the catfish results from Temple and Reimchen. So why the concerns with the loss of the adipose fin? Turns out that clipping this ‘non-functional’ fin has been routine for fisheries management agencies for decades. Surely, millions of adipose fins have been removed from fish! Simply snipping this small fin provides a permanent marker as to whether the fish (when caught later) is a naturally-produced individual or a stocked individual. Perhaps the benefit of adipose fin clipping through the information retrieved at the time of (re)capture outweighs the cost of a marginal decrease in swimming ability. And remember, the adipose fin swimming benefit is conferred only in turbulent waters—so we can’t assume that all stocked fish swim around at a constant disadvantage. (And of course, other differences between stocked and wild fish many swamp any impact of the adipose fin, but we’ll save that comparison for a later date.) 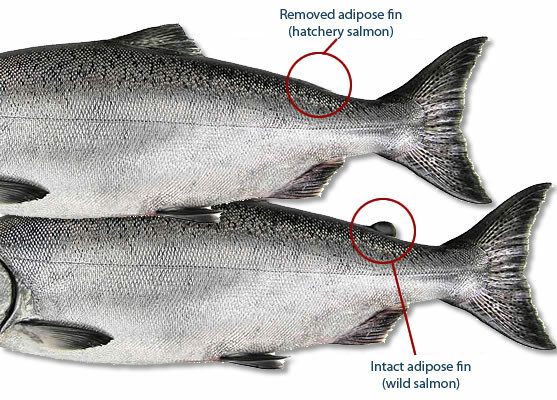 So although we have made great strides in understanding the function of the adipose fin, the impacts of adipose clipping on stocked fish remain unknown. Do you have an opinion on clipping the adipose fin? Please let us know in the comments below! Next Post What can fish tell us about ecosystem health? Cool post Steve, thanks. Here's an interesting excerpt from a 1940s study report I recently came across where fins were removed as marks… can you imagine doing this today — all lower fins removed?! “The dwarf suckers used in this study at no time exhibited any unusual behavior as regards their equilibrium. In fact those minus all five lower fins appeared to maintain their poise equally as well as individuals having the full complement of fins. Since only one fin was removed each year, except in cases where partial regeneration occurred, it is possible that the fish learned to compensate for the loss in each instance. Perhaps if more than one, or all, of the lower fins had been removed at the same time the effect would have been vastly different. It is believed that the loss of even five fins did not create a serious handicap; otherwise the number of returns would not have been so great. Physically handicapped fishes, of course, are more vulnerable to capture by predators, than normal individuals; therefore it is believed that losses of marked fish would increase in direct proportion to the number of removed fins. Actually this was the case, but there was no means of determining whether or not the marked fish suffered proportionately higher losses than unmarked fish. Perhaps the losses of marked fish were entirely normal. The fact remains, however, that 36.3 percent of all the fish marked during the five-year study period managed to obtain all the necessities of life and, in addition, return on one or more occasions to participate in spawning activities. A considerable number accomplished this feat for five successive years and still appeared to be equally as healthy as unmarked individuals. Thanks, Dave. Those poor fish! I guess optimistically we can call the recent work “progress” from previous butchering methods, even if we are still snipping a small fin. Characins also have a adipose fin. Again many of them (including the mighty Hydrocynus and Salminus ) inhabit sometimes turbulent water. Interesting hypothesis, love your blog! Perhap[s the edipose fin has a role in mating success. Or. perjahaps it is a useless relic like the human spleen. Well, I’ve been wondering why, when I cook mullet (gutted) in the microwave in water, the second smaller dorsal fin attachment point consistantly explodes, always just under that fin. I don’t know if it is considered an adipose fin, but I wondered if there may be either fat or a bladder like accumulation of air there. Perhaps for attitude control? Like an elevator on an airplane? Black mullet, referred to in the immediately preceeding. Great info! I’m a fish and wildlife student and am going to be writing a 20 page report on adipose fins. Thanks for the general data. I’ll report back if I find any data that can either confirm or refute the hypotheses here. Maybe the adipose fin is a “data gathering organ” taking in important information about the river: flows, droughts, salinity, waterfalls, habitats…. etc… it is now known that salmon quickly evolve to their constantly changing environment, so much so, that salmon running up and spawning during a drought year will have babies that will grow up and return at a slightly different time to compensate for the drought. Hatchery fish=Farmed fish. Who cares if they are less likely to survive (just release a few more)? 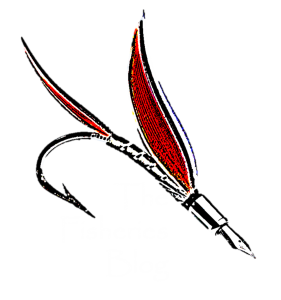 Its better than not knowing if you are whacking a “wild” fish or hatchery fish. Many smaller hatcheries are in operation for species conservation. That is, not all hatcheries are producing fish to be caught by commercial or recreational fishermen. So, it is ideal if these hatchery fish could survive so that they could return to spawn and try to create a sustainable population. We just toured the fish ladder at Whitehorse, Yukon (June 20, 2017). They remove the adipose find on their hatchery fish for identification. Some years the returning fish are a higher percentage of hatchery born. So I was off to clip adipose fins on salmon smolts at a hatchery when I read this–to clip or not to clip–that is the question. It wouldn’t be there if it didn’t have a purpose. Evolution works and the adipose fin wouldn’t be there if it didn’t serve a purpose . To help preserve the wild fish population. Often times it is illegal to keep fish with an adipose fin because they are wild. It is helpful for identifying what fish to keep and what to release.